Thank You For Playing is the unifying of the film and video game mediums as expressive art forms, but it’s something much more than that. This is a documentary about humanity; it’s about love, death and grief and all of the hard questions we ask ourselves in the most private moments of our lives. 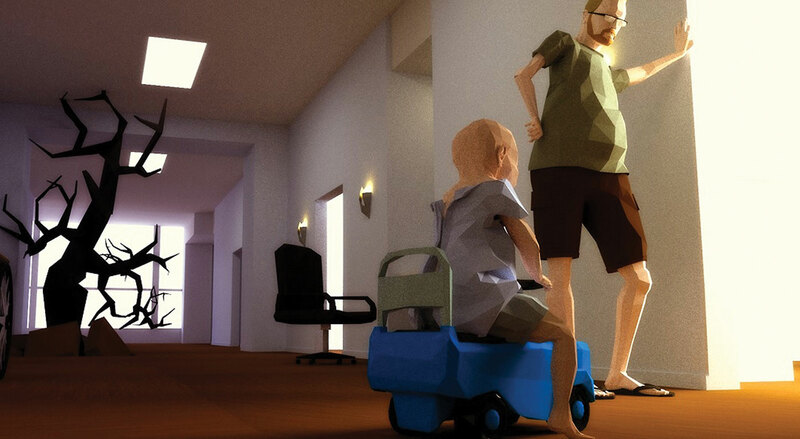 Thank You For Playing shows how Ryan and Amy Green, the parents of Joel, cope with their struggle and have the bravery to show it to the world through their independent video game That Dragon, Cancer. As a lover of both video games and film as expressive art forms and entertainment, I don’t feel that I was quite prepared for what kind of an experience this 80 minute documentary actually has in store for audiences. Prior to seeing the film, I had the opportunity to sit down with the documentary’s co-directors, David Osit and Malika Zouhali-Worrall to discuss Ryan and Amy’s perspective through the film-lense. Evan: When you decided to take this project from a short film to a full fledged documentary, what about the medium of video games actually drew you to what Ryan and Amy were trying to do? David: I would actually say it wasn’t the medium of video games that drew us, it was this particular video game because it was so different than any other game we’d ever really heard about or seen before. We’d read a very brief blurb about That Dragon, Cancer, and it didn’t really fall in line with any other game we’d heard about before. It was a very personal story about a very difficult subject matter. That was where we wanted to start making the film because it was so different, and mostly it was the remarkable, personal journey Ryan and Amy would be going on to tell the story. So it was really this idea of what would go into telling the story of a video game being made, and what would it look like to make a video game. Evan: So what drew you specifically to Ryan and Amy’s story, and what kind of response did they have when you wanted to make a film about their story? Malika: Ryan and Amy were very open to it. I mean, one thing that’s really interesting about them is that they wanted to be doing whatever they could to talk about the experience they were going through. To have a discussion about death and grief and terminal illness, and they just kind of realized that it’s something people don’t talk about enough, and that was a part of their goal with the video game. So when we asked if we could come out and film with them for a few days they were very trusting, and very open. I think especially by the second or third shoot we’d all become pretty close, and so as a result they kind of opened up more and more as the time went on. Evan: As filmmakers, you guys may not have all too much experience with games, so what was it like for you to sit down and play the game for yourselves? David: Well the game is not finished, it’s coming out in the fall, so we played a demo of the game, a very early build, and it was the scene in the game where Joel, Ryan’s son, is dehydrating, and he’s crying, and you can’t calm him down no matter how you try. In that experience, Ryan is having a sort of inner monologue that’s filling the scene out with this sort of poetry-slash-inner emotions that expresses a really frustrating and difficult time, and just playing that I feel you get a sense of the game. It was not like any game I’d experienced before. It was a very provocative experience to be in someone elses shoes and yet have this level of leniency where you can move around, and choose to do to this or not to do that, meanwhile this child is crying in the background. That was really powerful. Also, we were talking to Ryan about the very interesting art design for the game that struck us. It’s low polygons, so its not going for a realistic looks, much more abstract, and lets you have a sense of your own emotions and experiences to bring into this world that Ryan and Amy have made. Evan: Games are a medium of art, and have been around for such a short time, but with games suddenly able to be less about shooting and more about emoting, what kind of impact do you think That Dragon, Cancer could have on the games industry when it’s released in the fall? Malika: I think one of the things we figured out pretty quickly was that, what Ryan, Amy and their team were doing, there are others working in this area. They’re not in a vacuum but are very much a part of a movement in indie gaming. They’re pushing the boundaries in terms of what can be expressed and explored in the medium, and so when the game is finally released I think it will show that they will take the medium as far as they can. 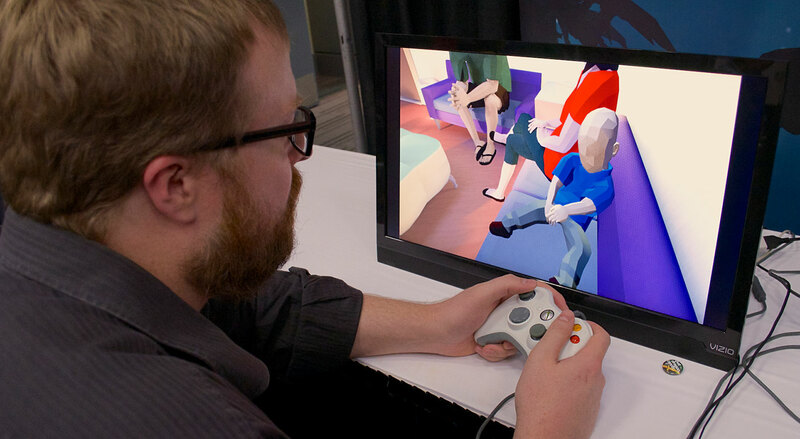 So, when That Dragon, Cancer is released I do believe it will be celebrated and a part of this kind of movement in video games, and it’s emerging fast, and will make a huge difference in how the medium is perceived to the general public. Evan: Malika, I have noticed parallels in the challenges women face within both the film and, particularly recently, the gaming industries. Have you noticed any parallels between your work and what Amy does in game design? Malika: I think one thing that is really interesting while working with the team of developers is that there are so many parallels in general between independent filmmaking and making an indie game; in terms of the way you try to fund the project and the general distribution platforms. In fact I feel gaming has figured out a lot of interesting possibilities for distribution with really great platforms like Steam and HumbleBundle. On the film side that has just begun to be figured out and certainly we’re hoping to distribute the film through some of those video game distribution platforms. So in terms of women in both, I think it seems most telling that women seem to have most opportunities when they’re working in a project on their own, which is wonderful. That’s why I think women directors in documentaries tend to have more representation than in narrative. With a documentary, it’s a lot more feasible to make on a low budget and there is no need for a studio or an executive producer involved to get it made. Whereas, when an industry requires you to be pitching and raising a lot of money, I think that’s when women start seeing the most challenges. But, yeah, there definitely seems to be parallels, and there are a lot of fantastic game developers out there who are creating amazing things. And the more they’re able to do it themselves, the better represented they will be. Evan: I was curious how you approached telling the story differently than other projects you’ve done with documentaries in the past, or was it really such a human story that it was really no different? David: Well, one thing that was very different about this film that we had never dealt with before was the fact that we had another medium to work with and include into the film. So, we intercut a lot of the video game into the film, mostly because we realized that, for a very short amount of time, that the game gives of this very remarkable, very visceral, window into the minds of Ryan and Amy. So it was great to be able to have that tool to illustrate what they were experiencing with what we were filming, and how the things in the game paralleled their real lives. That was definitely unique for us, to have the digital representation of a real life story. Evan: And one of the things about gaming that has changed is that its ability to bleed into other mediums has become so simple with using in-game footage. Did you find that you guys were finding ways to tell the story a little differently using that? Malika: I guess the game was such a huge element in structuring the story, so we had this representation of the experience of the people in our film. It definitely had a huge impact on how we thought about telling the story. There are multiple scenes where we were able directly use the video game itself, in some cases to make it work into the story, but it made a huge difference in terms of how we thought about making the film during production. Because they were in the process of making the game as we were filming, and then we’d be constantly thinking how we represent their real life that a theme in the game is representing. In some cases we might have worked with something similar, in some cases there may be a theme in the game that we somehow want to show what that represented in their lives. We might film something that would replicate that theme in the game. That was a really interesting process. Evan: I read a post this morning [Friday April 17th] written by Amy on The Daily Beast, and she was talking about what the game really is, and that it is supposed to convey the importance of the way you love someone special in your life, and I was curious if the story that you guys are telling in the film, about them and their process, do you feel the the goal, or the message, is one and the same with the game? David: I think that we found ourselves doing was really reflecting and documenting the experience of what it is like to stay present in a tremendously difficult period of life that is almost impossible to talk about within our ways of dealing with grief in society, and it is really a problem of our society. It’s really hard to talk about grieving, and its hard to talk about love, and what we were amazed by is that there is a way to keep an open mind of communication with your loved ones and being able to reflect on your experiences and share them with others. There is a way to create something beautiful out of even the most difficult experiences. Evan: What do you think is next for yourselves, and also the film, after this premiere at Tribeca? Malika: So, basically we’re setting off just now on the festival tour. In a week we’re actually going to be taking the film right up to Hot Docs in Toronto, and one thing we’re excited about there is that the hospital for sick children had contacted us about doing a private screening of the film along with the demo of the game for the critical and medical staff in the pediatric oncology department, it’s actually the largest one in Canada. Throughout working on this film we realized it is an incredibly useful thing for medical staff to gain insight to very powerful experience of the families and parents of children with cancer, so we’re actually really excited to be doing that. So, we’re hoping that over the next year or so, we can actually be rolling out a campaign to bring the film and the game to medical staff at hospitals across America. In terms of a more traditional distribution, once we’re finished on the festival tour the film will actually be broadcasted on TV later in 2015, and we hope to distribute to as many theaters as we possibly can, and as we said earlier we’d love to make the film available on gaming distribution platforms as well, where we know that the people in the independent games community are really keen to these stories about where people are thinking in the medium, so that will also be an interesting aspect. Click here for my conversation with the game’s creator, and Joel’s father, Ryan Green in both written and audio format in our Video Games section. 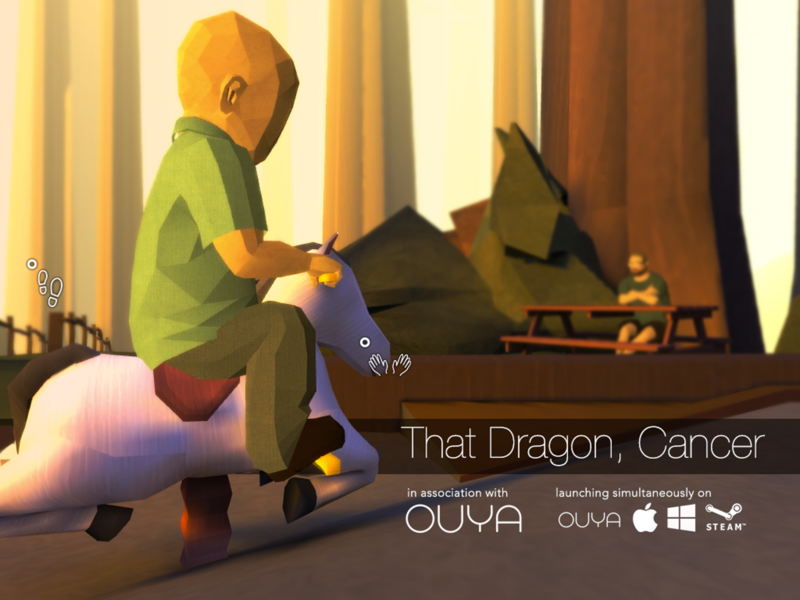 My reaction piece to playing the demo of “That Dragon, Cancer” will be live soon in our Video Games section. Review of Thank You For Playing to appear in our Film section soon. Next ArticleTV Review: Younger 1x05 "Girl Code"